The Federal Reserve announced the end of its bond-buying program Wednesday, marking the close of a six-year effort to stimulate the economy. The decision reflects how much the economy has improved since the recession. It's akin to taking the training wheels off of a child's bike. The Fed's announcement was overall positive, says Dan Greenhaus, chief strategist at market research firm BTIG in New York. "It's in response to the Fed acknowledging the improvement in the economy, the improvement in the labor market and the diminished risks on the inflation side of things," says Greenhaus. The 12 members of the central bank's committee also voted to keep its key interest rate near zero. This means people with savings in the bank get little to no interest, but the low interest rates spur people and businesses to spend and invest. When will interest rates rise? In its statement today, the Fed kept in the closely watched statement that it will maintain interest rates at the current low rates "for a considerable time." 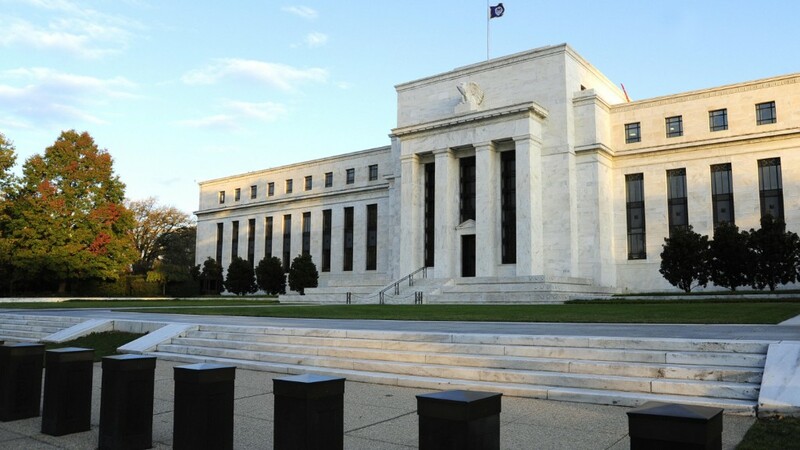 The Fed has given indications that it will likely raise the interest rate in 2015. Rates will likely rise by next March, says Paul Ashworth, chief economist at research firm Capital Economics. "We still believe that the Fed will begin to raise rates sooner than generally expected," Ashworth wrote in a note. He added that the Fed's relatively optimistic language about inflation and the labor market was a "hawkish," or positive, move. 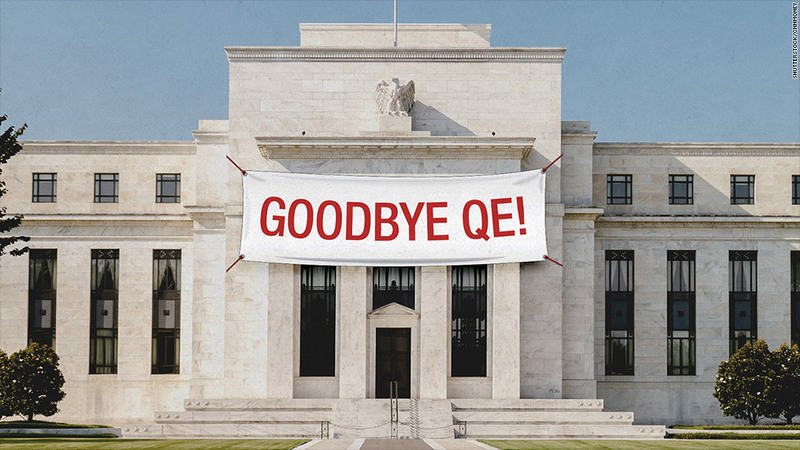 Many economists and traders expect the Fed to begin raising rates in the summer of 2015. The bank started its bond program, known as quantitative easing or "QE", in November 2008 to aid the economy and the crippled housing market. It became the flagship program of former Fed Chairman Ben Bernanke's term in office. Improving economy: The economy has come a long way in six years. The unemployment rate is now 5.9%, its lowest mark since QE began. There are over 8.5 million more people employed now than in November 2008, according to the Bureau of Labor Statistics. In the announcement Wednesday, the Fed said the job market is improving. "On balance, a range of labor market indicators suggests that underutilization of labor resources is gradually diminishing," the statement read. Current Fed Chairwoman Janet Yellen has often cited her concerns this year about the sluggish job market, but it appears the Fed's views have shifted somewhat. The Fed also wants inflation to stay consistently above 2%, which it has not since the Fed lowered interest rates. The total number of housing starts, an important measure of the health of the real estate market, has almost doubled since its low point shortly after QE began, according to the Census Bureau. The Dow Jones Industrial Average was down around 20 points just before the Fed's announcement. The Dow dropped further after the statement came out to around 70 points down. With the economy still on the mend, there are many arguments for and against the Fed's historic policy decision to buy bonds. "We're going to be debating the efficacy of the quantitative easing programs for the next 100 years," says Greenhaus. "Its legacy is undetermined because the war isn't over."